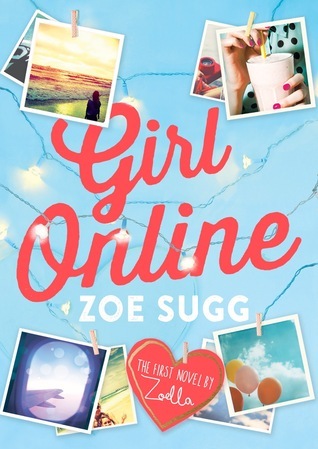 Girl Online is a fun debut novel from Zoe Sugg, a YouTube star who also goes by the moniker Zoella. I have been a huge fan or Zoella’s YouTube channel for a while now because she reviews and talks about beauty products, which is a hobby of mine as well (see Cincy Couture for more about that!) When I saw that Zoe had a Young Adult book published, I just had to read it. This was a really fun read that I would definitely recommend for teenagers and adults who enjoy reading YA fiction. This book seems to be inspired loosely by the YouTube fame that Zoe has amassed. It revolves around the character of Penny: a teen girl who secretly blogs under the name “Girl Online” who is plagued by anxiety and school bullies and false friends. The plot of this book is a lot of fun, and it is a really quick read (as most YA fiction is), but the best part to me was how the author (or ghostwriter) depicts the struggles of anxiety and bullying. These are things that absolutely effect young people as well as adults, and this was a refreshingly honest depiction of how it feels. I think that this book would not only be fun for a teen girl who is experiencing one or both of this things, but also this book might help her feel less alone. There is a second book in this series, and I look forward to reading it someday! A lot of recent YouTube stars have had book deals recently where they write their memoirs or dish out lifestyle/beauty/fashion advice. I think it was admirable that Zoe decided to use her book deal to use fiction to tackle real issues that effect her viewers even more than the perfect lipstick shade. I also hear that Zoe is going to be starting a book club soon, and I think that is also a great way to inspire her viewers (many of whom are teens and tweens) to get excited about reading.